Ranganath Nandhyal, a 63 year old retired English professor has donated Rs.20 lakhs towards establishment of RICU (Respiratory Intensive Care Unit), at Government General Hospital, Vijayawada. 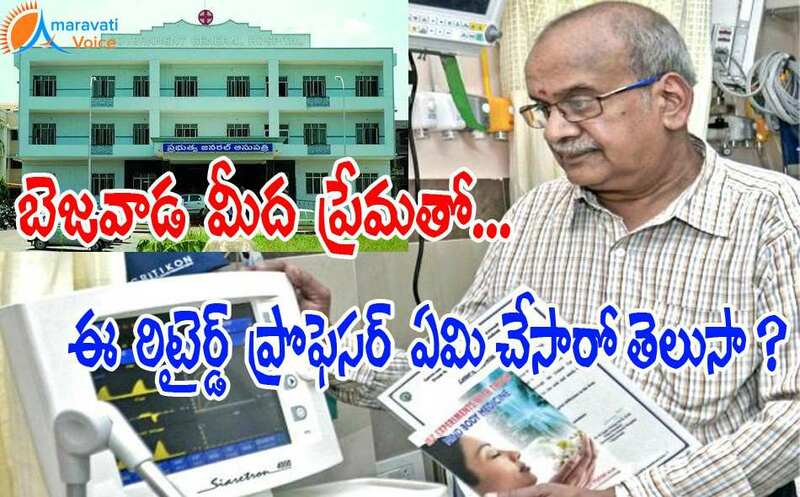 RICU is inaugurated by Vijayawada MP Kesineni Nani. This was build in the first floor of the Government hospital, with a total cost of Rs.65 lakhs, where Rs. 20 lakh was donated by Ranganath Nandhyal and the remaining by Tata Trust. Ranganath Nandhyal, has donated the money in his love towards Vijayawada city and also in the name of his parents. Mr. Ranganath, former student of Andhra Loyola College and SKPVV Hindu High School and worked as professor in various parts of the country. The newly inaugurated, ICU is equipped with ventilators and other advanced equipment had eight beds. Tata Trusts also maintains this unit for free and also provides 25 member staff of nurses & paramedics which will cost one crore per year.